The AAP fared much below the expectations and secured only 20 seats in the 117-member Punjab Assembly. 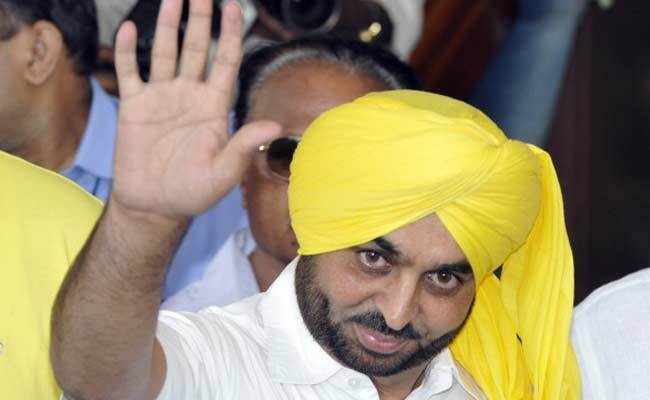 Bhagwant Mann replaced Gurpreet Singh 'Ghuggi' as AAP's Punjab chief. Chandigarh: After facing a drubbing in the Punjab assembly polls earlier this year, the Aam Aadmi Party has commenced restructuring of its state unit from top to bottom. On his debut Ludhiana visit during the 'AAP Apnyan Naal' programme, Mr Arora informed that the party will be divided in four zones, Malwa-1, Malwa-2, Majha and Doaba. Mr Arora said that new appointments of office bearers at all levels will be completed shortly with a view to gear up the party cadres. Hitting out at the Amarinder Singh-led Congress government, Mr Arora said it has miserably failed on all fronts.